Another up and coming series is Skeleton Creek, by Patrick Carman. It's like 39 Clues in that it also has an online component, but from what I can tell it isn't a contest. I haven't read the book yet since it won't be published until March, but it promises to be interesting. This one looks like it targets late elementary age to early high school age. Readers of all ages love to find a favorite series and devour each title in order, resting only when the final page is read! The trouble is, sometimes it's hard to figure out which book comes first, next and last. The librarians at Mid-Continent Public Library in Missouri provide a wonderful service with their constantly updated Juvenile Series and Sequels database, which currently contains over 25,000 books for kids from birth through grade twelve. Find out which book comes next, browse series by subject, and see if a favorite author has another series you haven't started yet. Another resource for finding great reads is Novelist, with recommended reads and book discussion guides for all ages, which can be accessed from home or in the library using your WCCLS library card. Check it out! 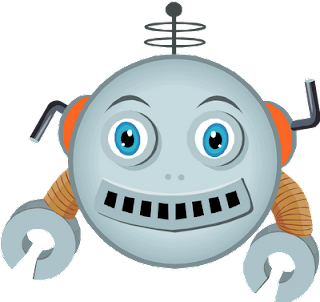 We're upgrading our library catalog on Tuesday and Wednesday. This means you won't be able to look up anything on our catalog either on the web or in the library. It also means your librarians will be relying on our memory and savvy search skills to locate items for you! Once the upgrade is complete, you searching may continue! It will look different, so if you have any questions (as always!) you can ask your librarian. A new feature that I'm really looking forward to using is the saved Title Lists. Now you can make a list of titles and save it to your computer or to a disk. With the new version the list saves to your account (both in the library and on the web) and you can continue to add titles to a list over time. Make a list for titles you loved, want to read (but not put on hold quite yet! ), or just about anything else. *For library computer users...there will be no wireless access, but you do have internet access by getting a guest pass from the reference desk (your library card number won't work). There are only two ways to leave Obernewtyn: by death, or by escape. And only Lud knows what becomes of those who escape. In a world where the sky is no longer blue and tainted rivers of poison make the lands impassable, Elspeth Gordie protects a secret. She is a Misfit. After the Great White, a man-made holocaust, the world changed. Old-timer books were banned; those who questioned the religious majority were burned; and those who were born with special psychic powers spurned from the lasting radiation of the holocaust were deemed Misfits, alienated from the rest of society. An orphan who lost her parents to burning by the Herder Faction and now is shuffled between orphanages, Elspeth soon finds it impossible to conceal her powers. When her secret is exposed, she is sent to Obernewtyn to be with others of her kind. How can Elspeth seek to learn the extent of her powers? Who else will discover her remaining secrets? Will she, just a young girl, survive to fulfill the destiny she has been told she must face? Obernewtyn is the first in the series of The Obernewtyn Chronicles, by Isobelle Carmody. I actually learned about these books from a teen reader (thanks, Paula! ), and I am eager to read the next in the series. Our teen librarian is working on completing the series in our collection, as the books have been hard to get. This is a book for teens, possibly sophisticated younger readers, and also something adults may enjoy. I know I did! The Tigard Public Library has been celebrating Oregon's 150th birthday this month with Oregon Reads in Tigard. Adults have been reading the book, Stubborn Twig by Lauren Kessler. The book for children is Apples to Oregon by Deborah Hopkinson. Help your child learn a little bit of Oregon history through the "Oregon Passport to Adventure". By participating in this activity, your child can earn their very own copy Apples to Oregon. Stop by the children's room and pick up a copy of the passport, have your child participate in 5 of the 10 activities listed inside. One of the activities includes completing an activity sheet, which we have many on display. Another activity is drawing a picture of an Oregon symbol, which we will hang up in the library for all to see. Quantities are limited, so complete your passport by February 28th! 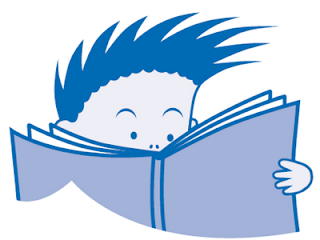 Want to help your child get ready to read? An important skill is the ability to tell stories - narrative skill. This helps children realize the structure of stories and sentences. To help develop this, pick a story that your child likes to read and knows the story. Have the child tell you the story, turning the pages and making up the words. 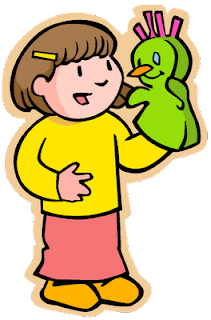 To take it to the next level, have them use puppets to tell the story. Don't have enough puppets at home? Check out the library's collection. The bin by the board books contains a variety of puppets for you to check out, just like books, for three weeks. This is a big collection that checks out a lot, so if you're looking for a special puppet*, just let us know and we can request it for you (just like a book!). Check out a full list here. *I'm particularly fond of the bird with the worm. Want to help your child (baby to preschooler) get ready to read? "Early Literacy" is everything your child knows about reading and writing before they can actually read and write. In March join your Children's Librarians for our series of informative and interactive workshops on early literacy. These free workshops will give you the tools to help ensure your child begins school ready to read. The workshops are for adults only and do require registration. All workshops will be in the Puett Room. Please call 503-684-6537 and ask for the Children's Desk or stop by. Monday, March 2, 6-8 p.m.
Monday, March 9, 6-8 p.m.
Monday, March 16, 6-8 p.m.
Tuesday night, the library enjoyed a visit from acclaimed children's author Deborah Hopkinson. Hopkinson's book Apples to Oregon is the children's selection for the statewide Oregon Reads program, in celebration of Oregon's 150th birthday. Hopkinson is also featured on the super Reading Rockets website, "a national multimedia project offering information and resources on how young kids learn to read, why so many struggle, and how caring adults can help" (from their website). My favorite part of the site is their collection of interviews with children's authors and illustrators, like Avi, Mary Pope Osborne, Eric Carle, David Shannon and Rosemary Wells to list a few. They chat about their work, their lives, and other fun tidbits. The interviews are cut into short, easy to download snippets just right for young listeners. What are "Punk Rock Pigeons?" You'll have to find out yourself during Mo Willems interview! Have you been participating in our mega event Oregon Reads in Tigard? Everyone is invited to read Stubborn Twig by Lauren Kessler, with discussions held at the library. Unable to drop in? Leave your comments about the book at the library's blog for Tigard Reads. And next time you're in the library, check out the displays in the lobby and in the Children's Room regarding the event. Maybe you all have already heard of him, but I have just discovered a new picture book author and illustrator who I love: Petr Horacek. He has a really cool illustrating style, kind of similar to Eric Carle, but definitely his own style. In several of his books, there are cut-outs, so the pages share parts of each other's pictures. He has written both board books and picture books. They are all entertaining and fun. 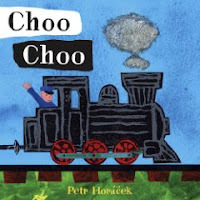 In fact, one of my little guy's favorite books is Choo Choo. It's a very short little book perfect for him (he's 13 months) with different-shaped pages that make it easy for him to turn the page and keep his attention, because all it is is sound effects of the train. Fortunately, we’ve got a great way for you to get to the head of the line. 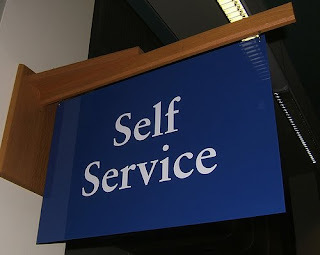 As long as you don’t have any materials that need to be unlocked (some DVDs and CDs, for example) or any holds waiting for you behind the Circulation desk, you can head right on over to the self-service kiosks and checkout your books yourself. While the idea of handling all the work on your own might seem at first a little scary, once you try it one time there’s a 97.418% chance that you will come back to use these again and again (and you’ll probably want to tell all your friends about how tech-savvy you are too). We’ve made the checkout process as easy as possible – just follow the picture-based instructions on the screen to get on your way. First you scan your library card and the screen will tell you all about your account including how many books you have out currently, if there’s a balance on your account, if you have Hold requests to pick up and more. After that you just put your first book down and run it under the laser scanner. Our smart machine will automatically checkout the book for you and process it for safe removal from the premises (no alarms for you)! When you’re finished just make sure you hit “print” and take your receipt with you. Please try not to be too obvious about your joyous “line cutting” when you wave to everyone standing in line on your expedited and worry-free way out the door! It is very busy and has a ton of pop-ups, but I find the amount of crafts it has outweighs the annoyances I face with format of the website. You can also find a ton of songs and rhymes under the Storytimes link. You can just browse or you can type in a word or two to narrow down a topic. If you have to part with your money, Consumer Reports can help you spend it well. Scroll down and click "MasterFILE Premier"
You can refine your search using the subjects in the left-side column, and read the full article by clicking "PDF Full Text"
Click "Publications" on the bar at the top. Click "Consumer Reports" in the results list. Click the year then month of the magazine you want to browse in the right-side column. Click the "PDF Full Text" link for the article you want to read. 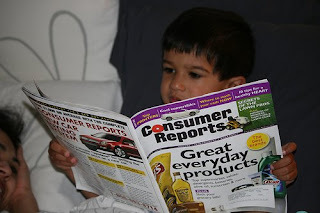 Another online source I use for purchasing advice is http://www.consumersearch.com, which offers product suggestions based on reviews from many different sources including Consumer Reports. It has some ads, but is free to use. February is Black History Month, a time to explore and celebrate the history of African Americans in our country. One of the blogs on my radar is The Brown Bookshelf, which hosts the super 28 Days Later project, a great way to celebrate the month through kids' literature. Each day in the month of February, the blog features an African American author or illustrator "to make more people aware of the rich selection of children's books by and about African Americans" (from their Press Release). Check out the line up for this year and of course, stop by your library to check out the books!